UPDATE April 2 12:14pm: A previous version of this article contained some errors. It said TaxAct couldn’t file small business returns, and that the app requires you to fill in tax forms. It does handle small business returns (but only in the download product, not the Web app) and has two modes for entering your information. Quick Entry does show you forms to fill in, or you can complete a step-by-step Q&A interview that fills the forms in for you. The article below has been corrected. Hooray! It’s tax time again: Another year, another opportunity to step into the IRS income confessional and spill the details of your personal financial life. Luckily, if you own an iOS device, it may be all you need to settle up with the taxman. H&R Block, Intuit’s TurboTax, and TaxACT all offer apps or mobile web experiences that, depending on your needs, will do the job and do it well. Although the ability to file taxes on a mobile device is not a new concept, the programs are better than ever this year. While most of these tax prep programs offer standalone desktop apps for your Mac (TaxACT has no Mac app but offers a PC-only download) that store data locally on your computer (until you manually upload it directly to the IRS when you’re ready to file), the push from all three companies is to either use browser-based apps or, in the case of TurboTax, an iOS app that links directly to your data stored online. This is both good news and bad. The good news: If you’re using any of the Web-linked apps, it doesn’t matter what device you’re using—your data is ever present. You can start your tax return in a browser on your Mac, update information on your iPhone, and finish and file your return on your iPad. The bad news: None of your data is stored locally, so no Web connection, no way to work on your tax return. At the end of the day, there’s only one thing that really matters when it comes to selecting tax software: It needs to minimize your tax liabilities while making it easy to enter your personal information in an understandable way. All of these applications do a good job of that, although Intuit’s TurboTax still takes the cake on being the easiest to use. Here’s how these three tax programs stack up. TurboTax is the 800-pound gorilla of tax filing apps. It has long been the standard by which other tax apps are measured—not necessarily because it gets you more money, but because it’s well designed and makes tax filing easy. Nothing has changed in that regard. 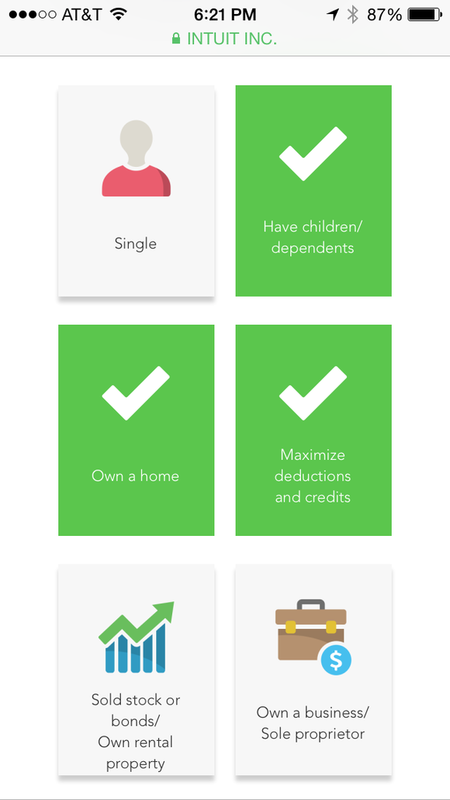 TurboTax remains the prettiest app of the bunch and with the new option to start your return on one device and finish on another, TurboTax is now a paragon of ease. 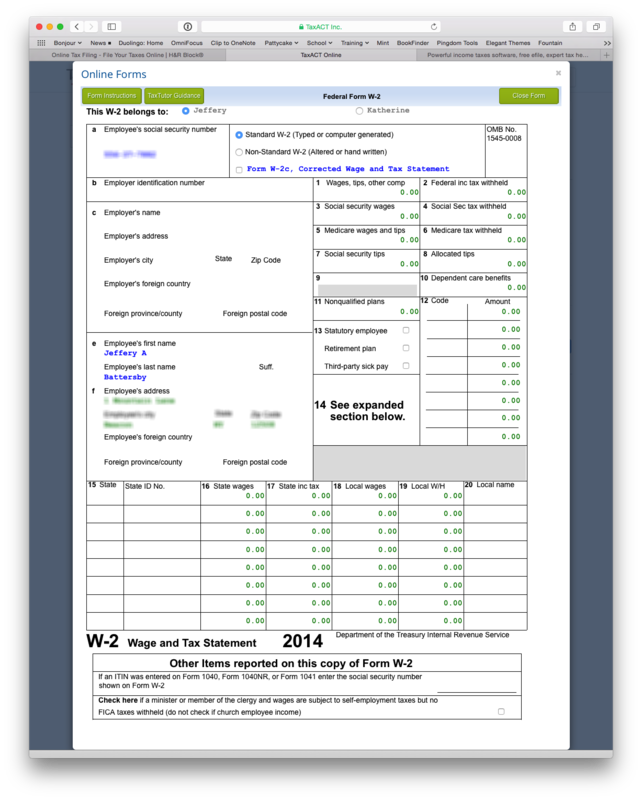 While there have always been iOS versions of TurboTax, in the past you could only work on a 1040-EZ on your phone. If your return was more complicated than that, you’d be directed to the Web, to the iPad, or to the desktop applications. Now, no matter where you start your return, you’ll be able to complete it on that device. You also technically don’t need to download any of TurboTax’s iOS apps—the Web version of TurboTax works on perfectly on all your devices. TurboTax’s new interview simplifies the process of figuring out what information you’ll need to file your taxes. The iOS and Web apps sport a new interview process that is designed to simplify the process of figuring out the kind of information you’ll need to enter. During that interview, you’ll be asked some basic questions to assess changes that may have taken place over the year—such as a marriage or divorce, a new house purchase, or income earned while working out of state. In the past, this has been a literal checklist that was sometimes intimidating to parse. Now, while it is still essentially the same checklist, it consists of big happy buttons that help you determine which version of TurboTax you’ll need to complete your taxes. There are a few more improvements, too. Taking a photo of your W-2 now works no matter what style W-2 you receive (in the past, TurboTax was pretty poor at capturing the info on horizontally-oriented forms). The form capture tool also has a new feature that, when you’re verifying the data automatically entered in the form fields, zooms in on the area of the scanned form where it collected the data from so you can double check that it’s correct. When you’re done answering questions and entering data, TurboTax makes sure there are no red flags and that you have no worries about a potential audit. Finally, you pay and file. As far as the Mac version goes, you can find TurboTax on the Mac App Store, directly from Intuit’s website, or you can purchase a boxed copy online or at a local retailer. TurboTax’s Mac App Store version is the only offering that allows you to pay when you file—all others need to be paid for in advance. Pay only when filing. Prices range from Free to $120 depending on your filing needs. There is now only one H&R Block app for iOS, which can only be used for filing a 1040-EZ. 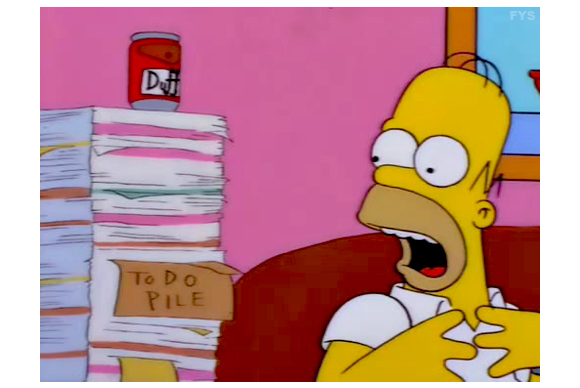 Otherwise, for all your tax filing needs, it’s all Web-based, all the time. Like TurboTax, the H&R Block service has gone through a complete interface overhaul that is designed to simplify your tax filing process. The Web app determines what type of devices you’re using and customizes the user interface to fit that device. H&R Block looks and works great, no matter what device you choose to do your taxes on. I had a minor snafu when importing last year’s tax forms using an iOS device. The app wants to import TurboTax or H&R Block files created using last year’s desktop apps, but has no access to iCloud drive or Dropbox, so it can’t actually import those kinds of files on those devices. This feature works perfectly well on your Mac, but instead directs you to your Camera Roll on your iPhone or iPad. 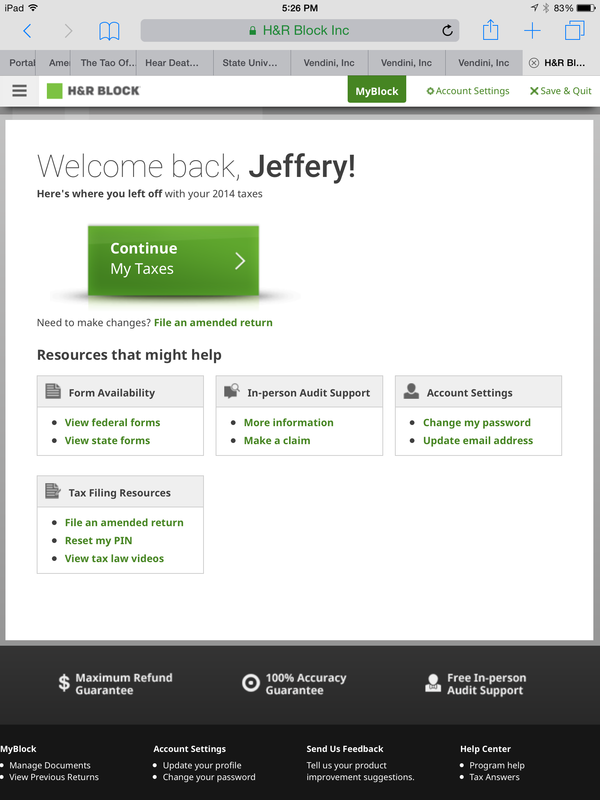 That aside, H&R Block’s Web interface works equally as well as a standalone app. The Web app’s interview process has been redesigned and streamlined, and it’s easy to navigate and enter data no matter what type of device you’re on. Plus, H&R Block has added a new feature called Refund Reveal, which attempts to explain why your refund is going up or down when you enter new information. One thing H&R Block lacks is the option to take photos of your W-2 and import the data automatically, although some employers can enter their Employer ID number and have the data imported that way. Financially, H&R Block makes the best sense of all the tax apps for a few reasons. First: It’s far less expensive to file taxes with H&R Block, and it’s free for many filers with a Max of $80 for H&R Block Premium Federal and State filers compared to $120 for the same filing with TurboTax. In addition H&R Block gives you the option to get a portion of your refund as a gift card, to which H&R Block will add up to 10-percent of the amount you load on the card. H&R Block still lets you start your return on your computer and finalize it at your local Block office, or have an H&R Block rep work with you remotely. They’re also the only tax product here that offers “in person audit support” and guaranteed access to real human beings when you have tax questions. Alternatively, you can download the Mac version directly, or pick up a boxed copy. Pay only when filing. Prices range from Free to $80 depending on your filing needs. This year is the first time I’ve ever looked at TaxACT, which is by far the least expensive of all the applications here. You can do just about everything for less than $25, including filing your state tax return—you can even file forms and schedules for small business income. Like TurboTax and H&R Block, TaxACT lets you work on your taxes on any Web-connected device. If you have a PDF of last year’s tax return, TaxACT can import that information to use as a starting point for this year’s return. After that, TaxACT has two ways to enter this year’s information: You can walk through a step-by-step question-and-answer process. Or you can choose Quick Entry mode, which presents you with IRS forms to fill out. If your return hasn't changed much from last year this could save you time, but it’s not nearly as easy as working with either of the other two programs. Overall, while TaxACT offers all the guarantees of both TurboTax and H&R Block, it doesn’t provide the same level of comfort for less experienced tax filers. If you’re used to filing taxes by hand—or you’re not afraid of tax forms—TaxACT may be perfect. You won’t spend nearly as much time on your taxes as you would with the other programs, but it’s not for the faint of heart—if you’re a cautious tax filer it’s probably not for you. $22 when filing, including state taxes. Downloadable applications only available for PC. However, this year’s best pick is H&R Block—it will cost you less money overall and gives you the extra option of offering some of your bonus as a gift card. Plus, by offering the same features and functionality as the desktop application, it’s guaranteed to help you get your taxes filed on time and without hassle.